Jorge rams Ramadan down Catholic sense, but then did you expect him not to? NovusOrdoWatch details his apostate remarks where he hopes a false religion, a satanic one at that, will "bear abundant spiritual fruit." 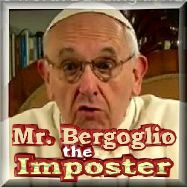 Never mind Sunday's Gospel, this Bergoglio bud is a classic example of those who say "Lord, Lord" and won't enter into the kingdom of Heaven (Mt. 7:21). Maybe he can count the 72 virgins with his Muslim buddies. So how will the semi-traditionalists explain this? They'd be wise to first check out Happy Ramadan!?! Not if you're Catholic! 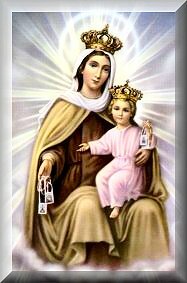 O Mary, Queen and Mother of Carmel, I come today to consecrate myself to thee, for my whole life is but a small return for the many graaces and blessings that have come from God to me through thy hands. 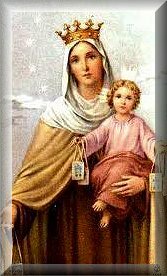 Since thou lookest with special kindness on those who wearest thy Scapular, I implore the to strengthen my weakness with thy power, to enlighten the darkness of my mind with thy wisdom, and to increase in me Faith, Hope and Charity that I may repay each day my debt of humble homage to thee. 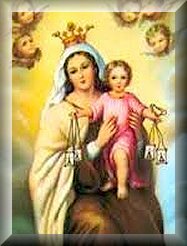 May thy Scapular bring me thy special protection in my daily struggle to be faithful to thy Divine Son and to thee. 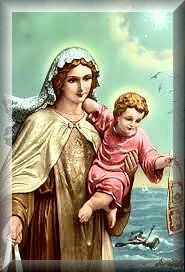 May it separate me from all that is sinful in life and remind me constantly of my duty to imitate thy virtues. From now on, I shall strive to live in God's Presence, and offer all to Jesus through thee. 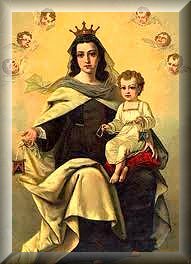 Dearest Mother, support me by thy never-failing love and lead me to paradise through the merits of Christ and thy own intercession. Amen. 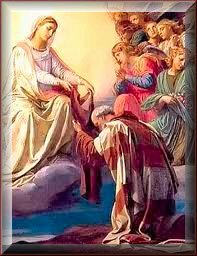 This is the thirtieth of seventy-seven Graces derived from participation at the Holy Sacrifice of the Mass - the Mass of All Ages - the Latin Mass of the Roman Rite which was decreed to be said "in perpetuity" by Pope Saint Pius V in codifying the infallible decrees of the dogmatic Council of Trent. These graces are taken from Father Martin von Cochem's Explanation of the Holy Sacrifice of the Mass with an imprimatur. 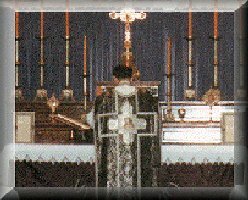 The thirtieth reason is that one can NEVER PRAY SO WELL than while one assists at Holy Mass, i.e., being present in the True Presence. This is the thirtieth of 62 reasons which were submitted by the Priests of Campos and endorsed by the late great Bishop Castro de Mayer. Reason number thirty: Because Jesus Christ has only ONE Spouse, the Catholic Church, and her worship service CANNOT also serve religions that are at enmity with her. 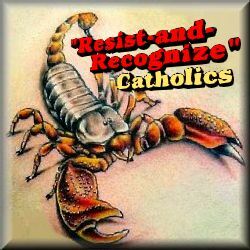 This includes all 33,000 plus Protestant sects and the CONciLIAR Novus Ordo, for unless Catholics are united in the true Holy Sacrifice of the Mass, the four marks of authenticity are missing: Not one, not holy, not apostolic and therefore not Catholic! This is the twenty-ninth of seventy-seven Graces derived from participation at the Holy Sacrifice of the Mass - the Mass of All Ages - the Latin Mass of the Roman Rite which was decreed to be said "in perpetuity" by Pope Saint Pius V in codifying the infallible decrees of the dogmatic Council of Trent. These graces are taken from Father Martin von Cochem's Explanation of the Holy Sacrifice of the Mass with an imprimatur. 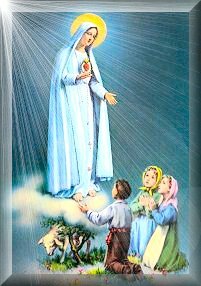 The twenty- ninth reason is that for the sake of this propitiatory Victim, the petitions proffered during Holy Mass will be granted far sooner than those that are proffered at other times. That is the power of the true Mass. This is the twenty-ninth of 62 reasons which were submitted by the Priests of Campos and endorsed by the late great Bishop Castro de Mayer. 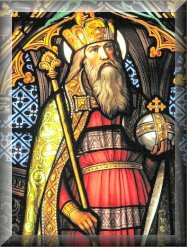 Reason number twenty-nine: Because the New Mass purposely contains ambiguities and alterations that subtly favor heresy, which is more dangerous than if it were clearly heretical since a half-heresy half resembles the Truth and confuses souls who don't know they are like the boiled frog. 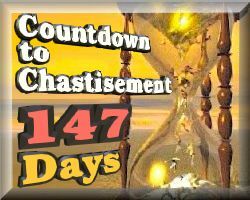 As the years have gone on it has become only too evident that the Novus Ordo is a great sacrilege that is the "abomination of desolation" which Jesus Christ warned of in St. Matthew 24: 15. This is the twenty-eighth of seventy-seven Graces derived from participation at the Holy Sacrifice of the Mass - the Mass of All Ages - the Latin Mass of the Roman Rite which was decreed to be said "in perpetuity" by Pope Saint Pius V in codifying the infallible decrees of the dogmatic Council of Trent. These graces are taken from Father Martin von Cochem's Explanation of the Holy Sacrifice of the Mass with an imprimatur. The twenty-eighth reason is that each of Our Lord's adorable wounds, which is sacred body bore, is a voice calling aloud for mercy for us. This is the twenty-eighth of 62 reasons which were submitted by the Priests of Campos and endorsed by the late great Bishop Castro de Mayer. 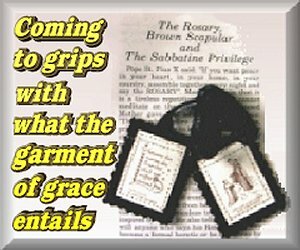 Reason number twenty-eight: Because beautiful, familiar Catholic hymns which have inspired people for centuries, have been thrown out and replaced with new hymns strongly Protestant in sentiment, further deepening the already distinct impression that one is no longer attending a Catholic function. The voice of His precious wounds are drowned out by the cacophony of chaos that is the Protestantized-Pagan-Masonic Novus Ordo. This is the twenty-seventh of seventy-seven Graces derived from participation at the Holy Sacrifice of the Mass - the Mass of All Ages - the Latin Mass of the Roman Rite which was decreed to be said "in perpetuity" by Pope Saint Pius V in codifying the infallible decrees of the dogmatic Council of Trent. These graces are taken from Father Martin von Cochem's Explanation of the Holy Sacrifice of the Mass with an imprimatur. 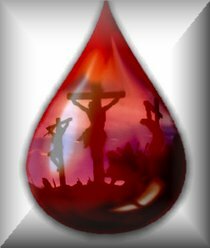 The twenty-seventh reason is that Our Lord's Most Precious Blood pleads for us in words as countless as the drops which issued from His sacred veins. This is the twenty-sixth of seventy-seven Graces derived from participation at the Holy Sacrifice of the Mass - the Mass of All Ages - the Latin Mass of the Roman Rite which was decreed to be said "in perpetuity" by Pope Saint Pius V in codifying the infallible decrees of the dogmatic Council of Trent. These graces are taken from Father Martin von Cochem's Explanation of the Holy Sacrifice of the Mass with an imprimatur. The twenty-sixth reason is that Christ offers Himself as the most efficacious peace-offering, interceding for us as earnestly as He interceded on the cross for His enemies. 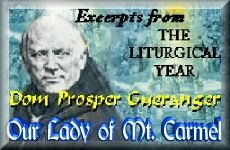 "Father, forgive them..."
This is the twenty-sixth of 62 reasons which were submitted by the Priests of Campos and endorsed by the late great Bishop Castro de Mayer. Reason number twenty-two: Because the New Mass was made in accordance with the Protestant definition of the Mass: "The Lord's Supper or Mass is a sacred synaxis or assembly of the people of God which gathers together under the presidence of the priest to celebrate the memorial of the Lord." (Par. 7 Introduction to the New Missal, defining the New Mass, 4/6/69). As you can see this is Protestant to the core! Even out-Protestantizing the Protestants more often than not! This is the twenty-fifth of seventy-seven Graces derived from participation at the Holy Sacrifice of the Mass - the Mass of All Ages - the Latin Mass of the Roman Rite which was decreed to be said "in perpetuity" by Pope Saint Pius V in codifying the infallible decrees of the dogmatic Council of Trent. These graces are taken from Father Martin von Cochem's Explanation of the Holy Sacrifice of the Mass with an imprimatur. 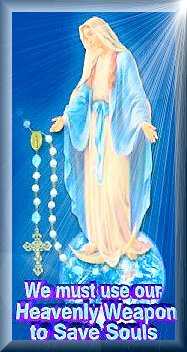 The twenty-fifth reason is that Christ places to our credit a portion of His merits, which we may offer to God the Father in expiation for our offenses. This is the twenty-fifth of 62 reasons which were submitted by the Priests of Campos and endorsed by the late great Bishop Castro de Mayer. Reason number twenty-two: Because we are faced with the dilemma: either we become Protestantized by worshipping with the New Mass, or else we stand firm as St. Paul tells us in 2 Thessalonians 2: 12 and preserve our Catholic Faith by adhering faithfully to the Traditional Latin Mass - the "most beautiful thing this side of Heaven." This is the twenty-fourth of seventy-seven Graces derived from participation at the Holy Sacrifice of the Mass - the Mass of All Ages - the Latin Mass of the Roman Rite which was decreed to be said "in perpetuity" by Pope Saint Pius V in codifying the infallible decrees of the dogmatic Council of Trent. These graces are taken from Father Martin von Cochem's Explanation of the Holy Sacrifice of the Mass with an imprimatur. 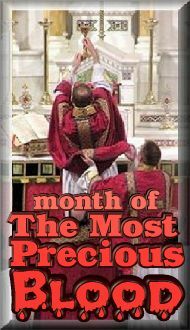 The twenty-fourth reason is that each time we hear Holy Mass we can do more to pay the penalty due to our sins than by the severest works of penance. 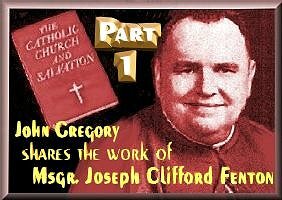 This is the twenty-fourth of 62 reasons which were submitted by the Priests of Campos and endorsed by the late great Bishop Castro de Mayer. Reason number twenty-two: Because Protestants themselves have said "the new Catholic Eucharistic prayers have abandoned the false (sic) perspective of sacrifice offered to God." (La Croix 12-10-69). No wonder the Protestants rejoiced so much that the "old Mass" had beeen consigned to oblivion or so they, in concert with the CONciLIAR charlatans at Vatican II and those who followed, all hoped. Thankfully the True Traditional Latin Mass still lives. Deo gratias! Our Lord said to make friends of Mammon and the CONciLIAR 'popes' have done just that and now it is coming back to bite them big time as Traditio reports. Paul the Sick bowed to the UN in the 60's, JP2 & Ratz followed. What did that get them? 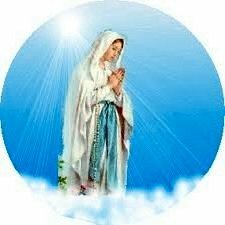 How about UN demands the Vatican to turn over all pedophilia files by January 2014 or else. 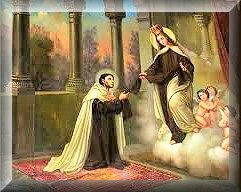 Amidst all the corruption in the CONciLIAR church, why should we be surprised that rules have been sorely broken in pushing through the cononization of two rascals who by their words and actions surely could never be considered saints? 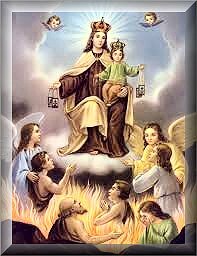 In fact there is an apparition, whether true or not who knows, but it depicts JP2 burning in hell. 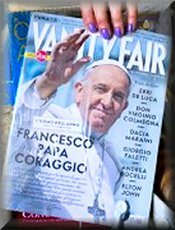 Yet, because it's the will of Mr. Bergoglio the unFrancis to destroy the Church he's going through with it come hell or highwater as Traditio exposes the corrupt culprits in What does unFrancis care about Traditional Requirements?! WOW! 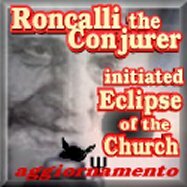 We congratulate Tradition In Action for not only admitting they were wrong, but producing all the evidence one would need to see that the CONciLIAR church is in apostasy and that its hierarchy have incurred automatic excommunication, (v.g., Codex Juris Canonici, can 2322 n. 1) thus putting them outside the Church including everyone inside the Vatican which would mean...wait for it...wait for it...the CHAIR IS VACANT. When will TIA admit the obvious? See What Are the Cases that Incur Automatic Excommunication?